Are You the Ganges or a Corpse? 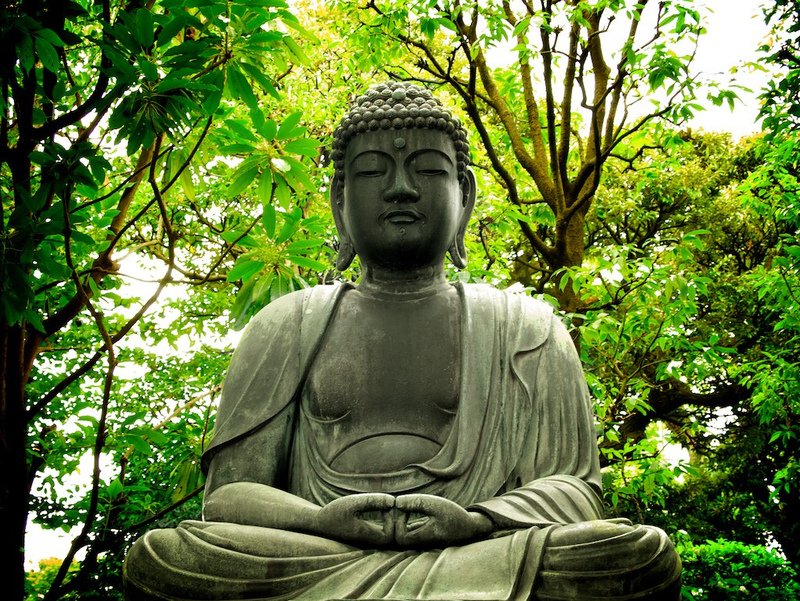 A disciple once visited the Buddha for the first time and immediately spat in his face. The Buddha did not react and simply wiped the spit and asked ‘what next’? This response threw the disciple and he walked away. The next day he returned and bowed down to the Buddha and asked him to ‘forgive him for what he did yesterday’. The Buddha responded by saying that ‘I am not the same man to whom you did it’. The Ganges goes on flowing; it is never the same Ganges again. Every man is a river. We have all heard the analogy that life is like a river. You can never experience the same moment twice. The Buddha realised that his whole existence was also like a river. Every response arose spontaneously and was not dependant upon the past. This flow of emerging expressions is the essence of life. How does your life feel now? What is emerging for you right now? You see, the mind doesn’t like this lack of control. We create an identity to give false security. Surrounding ourselves with money, houses, friends and family and implementing habitual patterns to give some sense of security. This shuts down the well spring of existence and we become like a corpse. Life is fragile. We have no knowledge of what will arise in the next moment. We have no knowledge of what will arise in the next moment as an expression of this embodiment. There is no security. Why not live every moment to such totality that if the next moment never comes, there is no complaint? Osho certainly agrees with the Buddha and encourages us to be fully awake in every moment. In deep connection with other beings, a deep warm feeling sometimes arises in my heart. The clearest label for this feeling is ‘love’. This is a spontaneous response and comes from a deeper place than the mechanical ‘me’. Upon expressing this to people in the past week, I have been met with slight distrust and the thought ‘but you don’t know me’. This brings me back to the initial question, ‘are you the Ganges or a corpse’? Life as a river is impossible to ‘know’. How is it possible to ever know someone else or even yourself? This only becomes possible when living like a corpse. My own path is a steady journey from the corpse to the Ganges. Every spontaneous expression of this being tastes like the nectar of life. I invite the flow into this being. It feels like waking up. We are all like the Ganges and will never be the same expression of life again. Not ever. My wish is for life to be experienced in the way of the Ganges. Spontaneous expressions of life. This feels like authentic living. Stepping out of the grave before we have even arrived and awakening to the music of the heart. Live every moment in such totality that if the next moment never comes, there is no complaint. Thank you sdf. The man became a student of the Buddha and the Buddha showed him the way home.